CNBLUE's Jung Yong Hwa has made a thoughtful gesture while still serving the army. The International Day of Disabled Persons was celebrated on December 3, and as a mark of respect, Jung Yong Hwa made a donation of 50 million Won (approx $44,620) to the Miral Welfare Foundation. 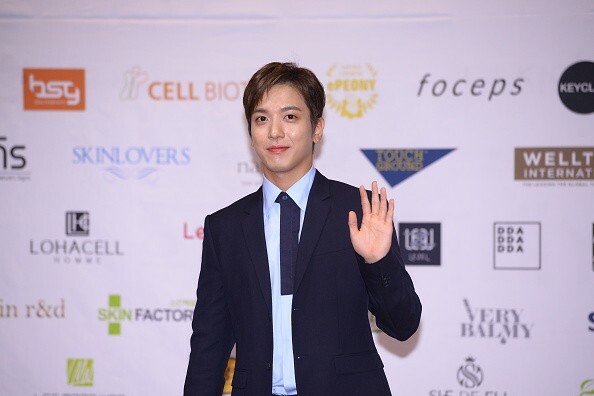 CNBLUE's Jung Yong Hwa has reportedly requested the foundation to use the funds towards children with disabilities. As per his request, Miral Welfare Foundation assured to use the money wisely towards the medical bills and living expenses for children with disabilities from low-income families. Miral Welfare Foundation was formed in 1993 to help support the social inclusion of individuals with disabilities and work towards developing and implementing sustainable development programs for those in need. The foundation operates 46 facilities with seven branch office dedicated to the disabled and elderly communities. The foundation has also reached out to international cooperation projects in 18 countries to provide child care, health care and emergency relief. Jung Yong Hwa has been regularly donating funds for various organisations and volunteered to help both in Korea and internationally. It was earlier reported that the star donated all of the profits from his self-produced track "Star, You" in 2014 and has also participated in many philanthropic activities with his fan club. The singer-actor is presently serving the mandatory military service as an active duty soldier in the 702nd Special Assault Regiment also known as the "Phoenix Unit". The unit was formed on October 1, 1982, as the first Special Forces unit of South Korea. Jung Yong Hwa enlisted in the military on March 5 and is expected to be discharged from duties on December 4, 2019. The idol had earlier released a hand-written letter to his fans from the military updating his status as a soldier.